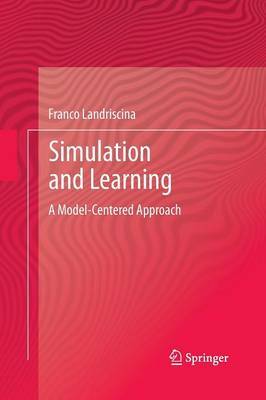 The main idea of this book is that to comprehend the instructional potential of simulation and to design effective simulation-based learning environments, one has to consider both what happens inside the computer and inside the students' minds. The framework adopted to do this is model-centered learning, in which simulation is seen as particularly effective when learning requires a restructuring of the individual mental models of the students, as in conceptual change. Mental models are by themeselves simulations, and thus simulation models can extend our biological capacity to carry out simulative reasoning. For this reason, recent approaches in cognitive science like embodied cognition and the extended mind hypothesis are also considered in the book. A conceptual model called the "epistemic simulation cycle" is proposed as a blueprint for the comprehension of the cognitive activies involved in simulation-based learning and for instructional design.